My high end make up wish list. Morning beautiful, Hope you are having a good day today. I spent this morning catching up with a good friend and I’m catching up with another good friend this afternoon. Today I wanted to share with you a few products that I have on my high end make up wish list. so lets begin…… In no particular order! 1- The clarins supra mascara. Oh wow this gives volume, its easy to apply doesn’t smudge or clump, and lasts all day. I have the mini version of this and have tried and tested this myself. It is amazing I will definitely re purchase this. It retails at £21.50. 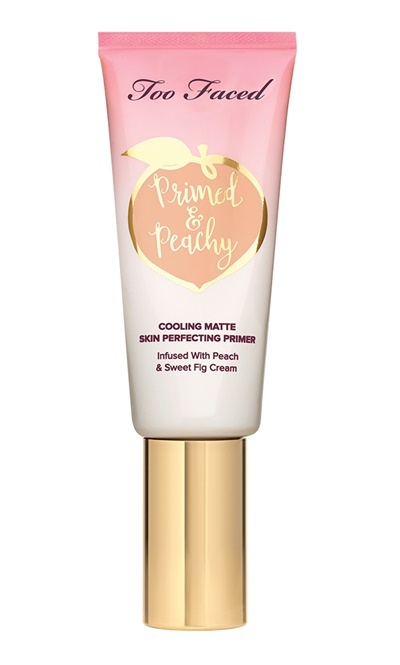 2-The Too faced primed and peachy cooling matte skin perfecting primer. This has been tried and tested by a few you tube beauty gurus and I havent heard bad things about it. Im all for trying new things and the packaging for this range is sooooo beautiful. This retails at $32 and I haven’t seen it on Uk sites yet but this is one I am going to be looking out for. Also in the two faced range i would love to try the hangover 3 in 1 replenishing primer and setting spray. This can be purchased at debenhams for £27.00. This is the description from the debanhams website. Spray all day to keep the beauty hangover away. A weightless 3-in-1 coconut water-infused mist that primes, sets and refreshes make up while it helps keep skin hydrated. This super hydrating, multitasking mist can be used as a primer before make up, a setting spray to keep makeup in place all day, and a mid-day refresher anytime your skin needs a boost, serving as the perfect cure for a beauty hangover. Hydrate and brighten skin. Perfect for all day use. Soothe and smooth the skin. 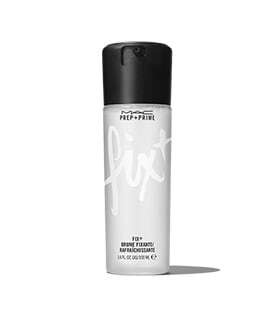 Can be used as a primer, setting spray and refresher. 3- The mac prep and prime fix + . This retails at £18.00 and is a product I keep meaning to buy and try but just haven’t gotten round to it. It is described as a lightweight water that is packed with vitamins and minerals. It claims to give an instant boost of hydration, which delivers a soft sheen to refresh and finish make up. 4- Urban decay All nighter full coverage longwear liquid foundation (£29.00) and the Naked skin weightless concealer (£19.00). I have seen these demonstrated on many You tube tutorials and the finished look, looks amazing. 5-Tarte tape shape concealer. Again cant find this one available on any uk sites etc Ebay. Tarte website does ship to the uk (however there maybe additional tax/shipping fees) but the website sells it for £22.00. 6-too faced glitter bomb palette £33.00. Oh wow this is stunning, the looks I can create with this love love love. 7- Benefit hoola bronzer (£24.50) and the dew the hoola liquid bronzer (£24.50). These are available at Debenhams. 8-The clarins bronzing and blush compact (£30.00) The packaging, detail and presentation of this product is beautiful. 9- Laura mercier secret brightening setting powder. This is available from jarrolds and is only £20.00. This is another product I see used a lot in tutorials on you tube. Well I’m going to have to stop there. As there are many many products I would love to purchase that this would probably go on for days. Let me know if you want a part 2. Let me know if any of you have used any of these products are they as great as many people say they are or didn’t it work for you?